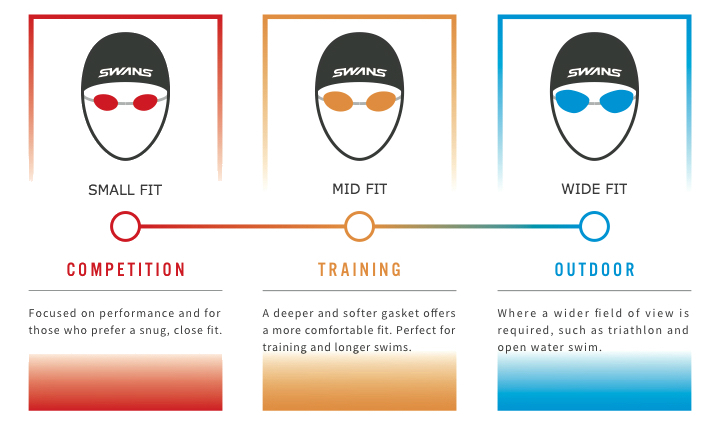 Our entry level Open Water and Triathlon goggle benefits from the same great lenses as our premium models, but without the premium price tag. Polarised lenses help protect against the harsh glaring light combined with 99.99% protection from UV A&B. Deep 3D asymmetric gaskets made from soft silicone help to ensure the fit is comfortable and secure, while pressure is distributed evenly around the eye socket. 4 different size nose bridges included.